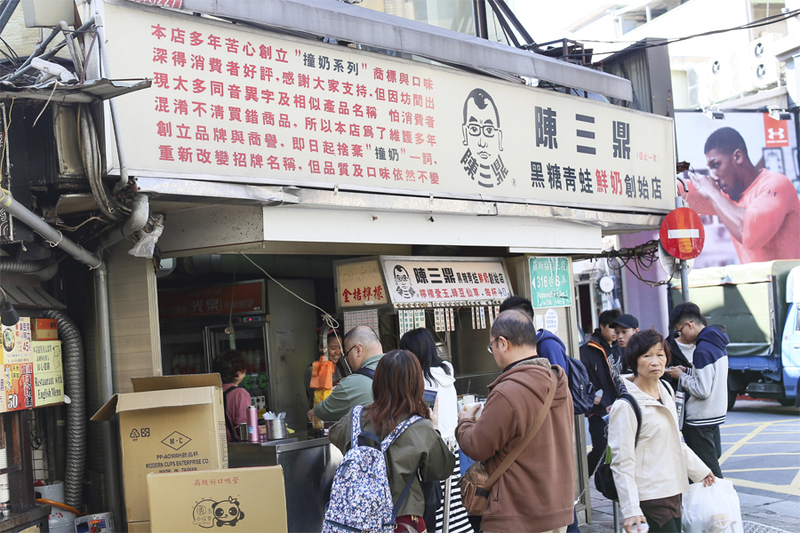 [Taipei] Chen San Ding 陳三鼎青蛙鮮奶 has been widely reviewed to be the best brown sugar bubble milk drink in Taipei. 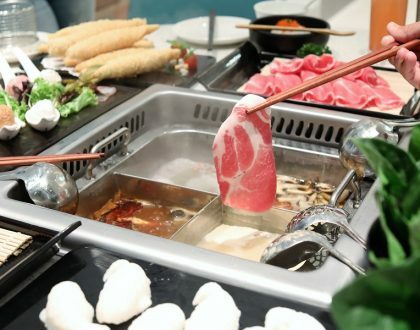 It is located near Gonguan Night Market, an area where the university students typically hang out. 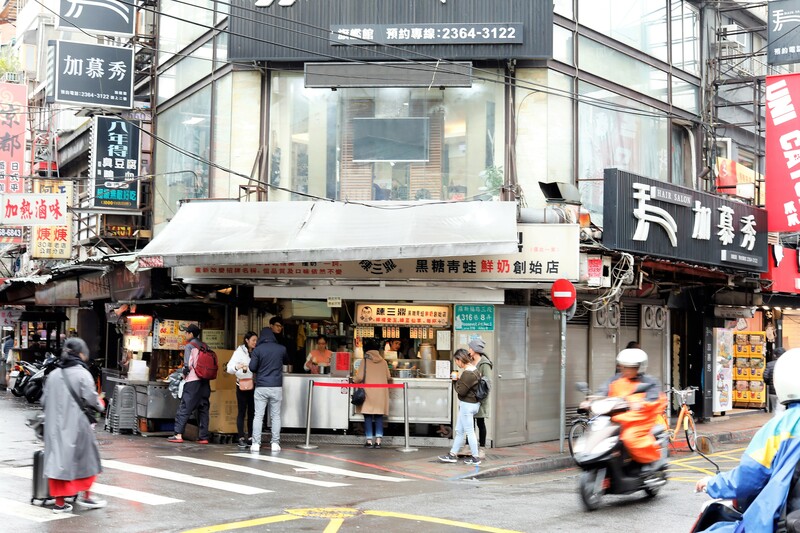 Not 50嵐, Chun Shui Tang 春水堂, ShareTea, 丸作, or even the newer Xing Fu Tang 幸福堂 and Tiger Sugar 老虎堂which all have more swanky shops and long list of beverages. 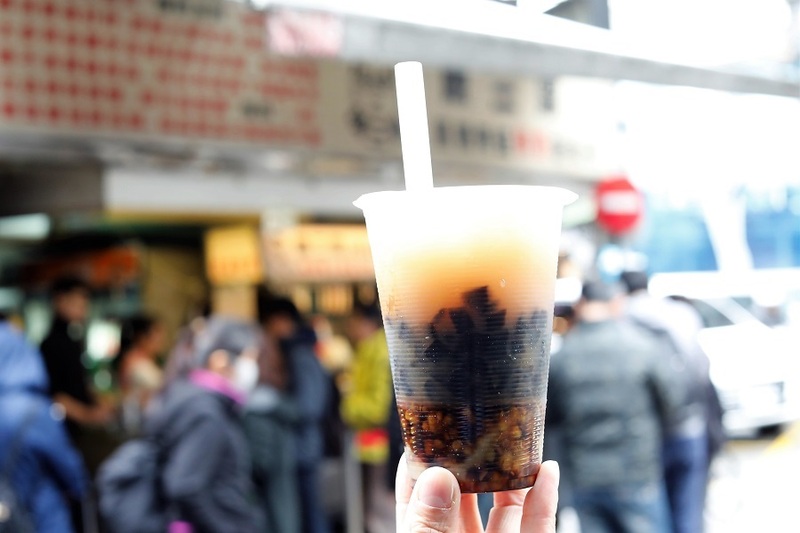 While Chen San Ding is widely known to serve “bubble tea”, there is no tea in any of its offerings. 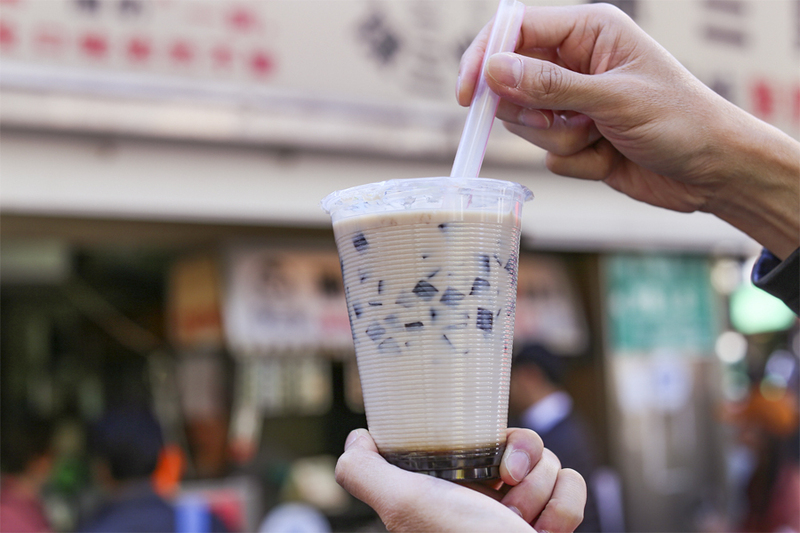 The signature drink is called 青蛙撞奶, directly translated to “frog knocking against the milk”. 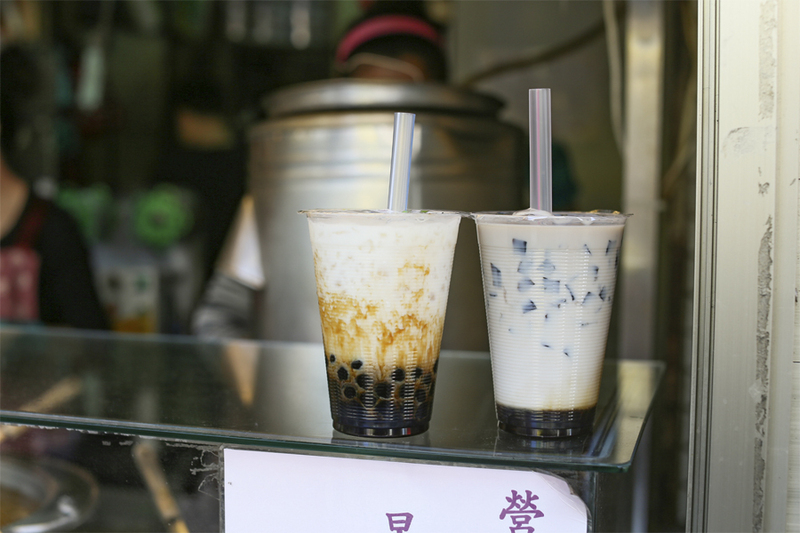 No frogs are harmed in the process, as the boba (tapioca pearls) used are thought to resemble frog’s eggs. 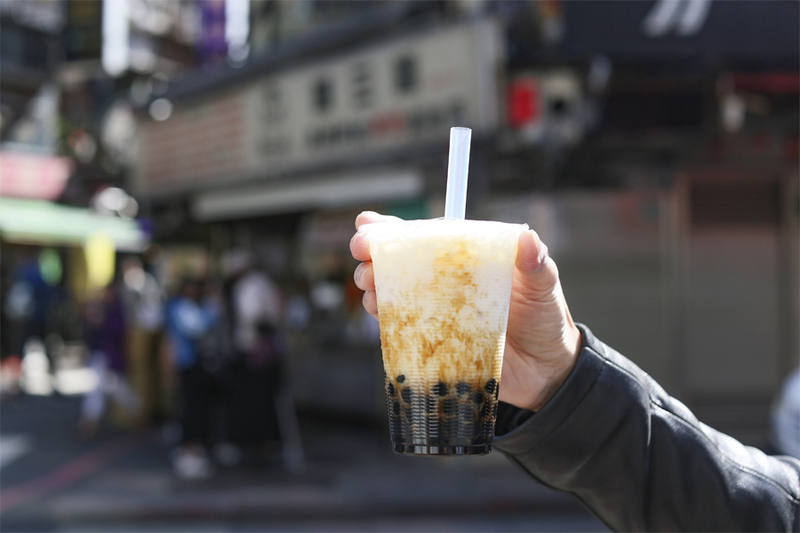 What you get is a cup of boba pearls, caramel-like brown sugar, cold milk, with choice of ice. 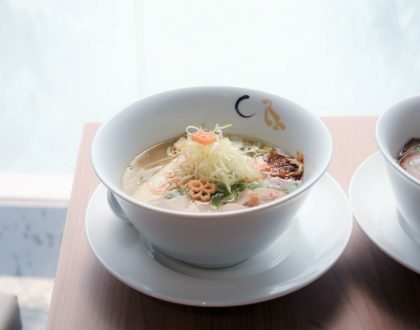 All drinks are affordably priced at NT$40, which works out to be SGD1.80. This is what you call cheap and good. Upon holding the cup, I couldn’t help noticing that the bottom was warm while the top layer was cold. 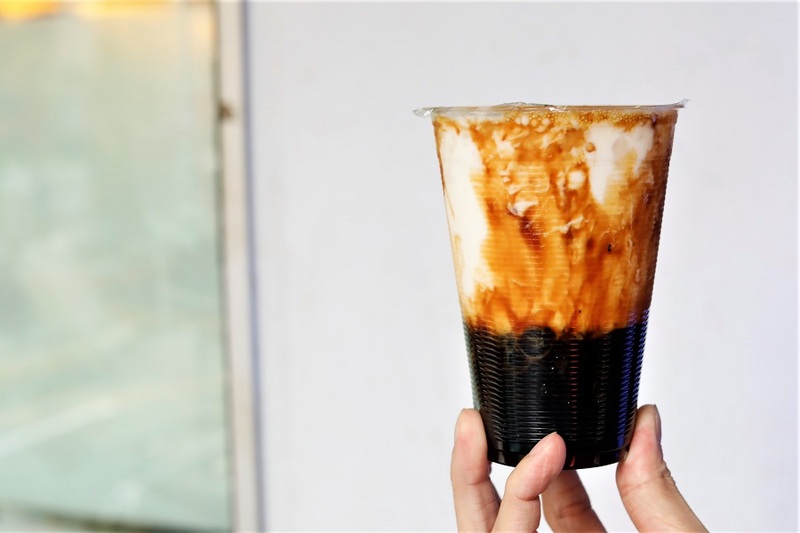 That is because the tapioca pearls are cooked on the spot in brown sugar, giving them the soft texture and lingering sweetened and caramalised taste. The pearls were indeed soft, sweet, chewy and you just couldn’t resist having more. Like having a mini-party in your mouth. 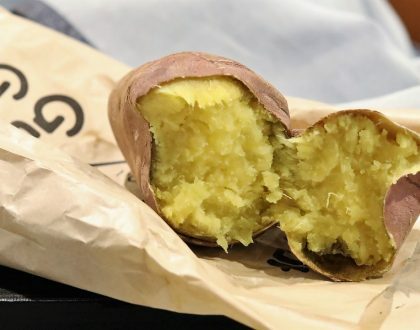 It felt kind of stress-relieving munching on them. The milk itself was not that sweet, which made the entire cup kind of balanced. 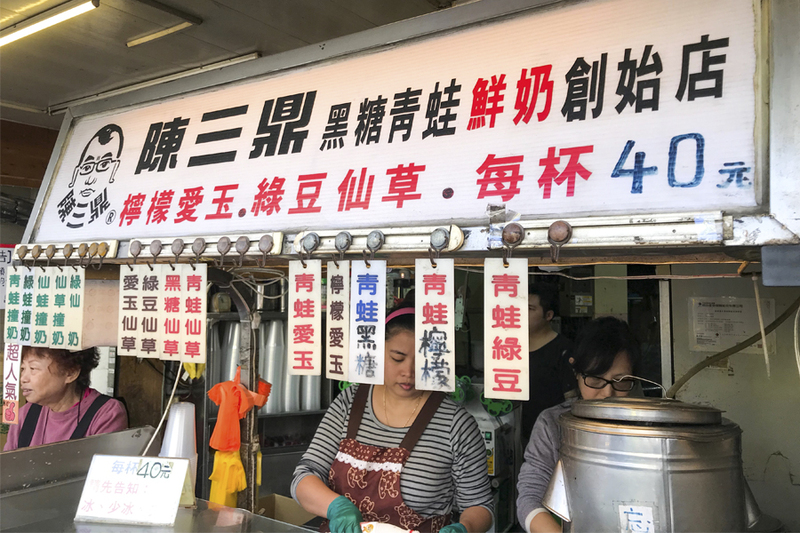 Other drinks such as Ai Yu Glass Jelly, Brown Sugar Glass Jelly, Lemon with Pearls, Green Bean with Pearls are available, all priced at NT$40. While you cannot choose your sugar level, you can have an option of with or without ice. 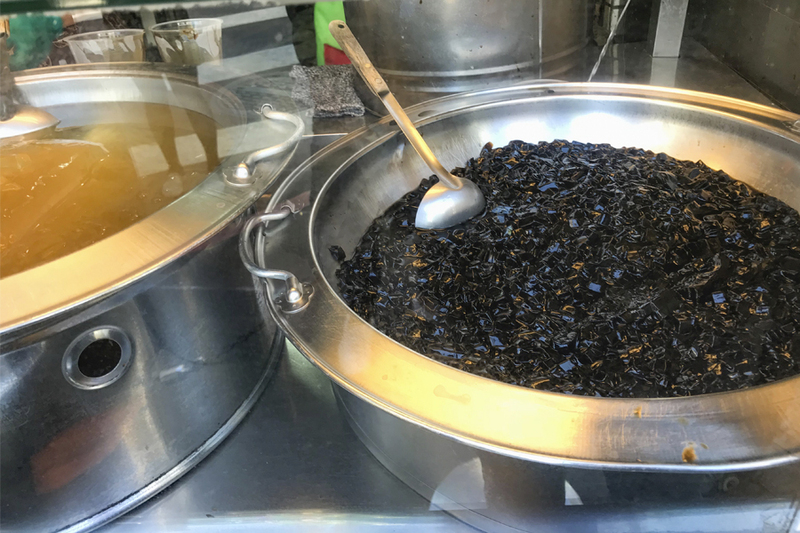 During another trip, I tried the Glass Jelly with Green Bean (NT$40), filling dessert-like drink with soft green beans and cooling grass jelly. This didn’t come across as outstanding as the Brown Sugar Milk. When I arrived, there was a short crowd of tourists who wondered “Is this the correct shop?” as it looked slightly run-down and not that modern. The queue doesn’t lie, and this is the “legit” stuff. I went early in the morning, and was faced with a queue of about 5 to 10 people. But it quickly got longer, though the line moved fast. 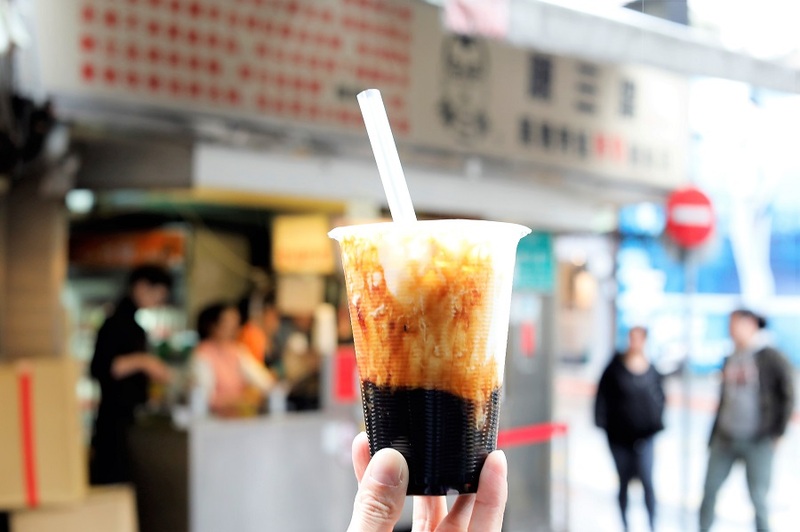 Best Bubble Milk in Taipei? 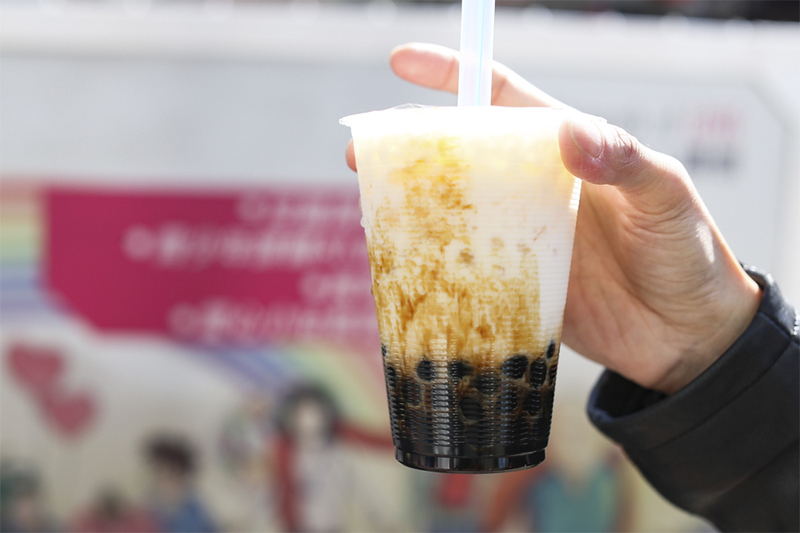 Certainly best boba pearls I ever had.